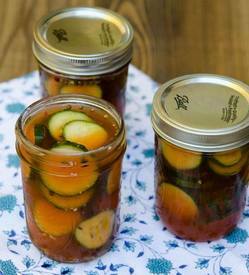 Refrigerator pickles are incredibly easy to make at home. Pack everything into mason jars, pop them in the fridge and the next day you have fresh, crispy, totally addictive pickles ready to eat. Adding a little Sriracha to the brine makes them even more irresistible.